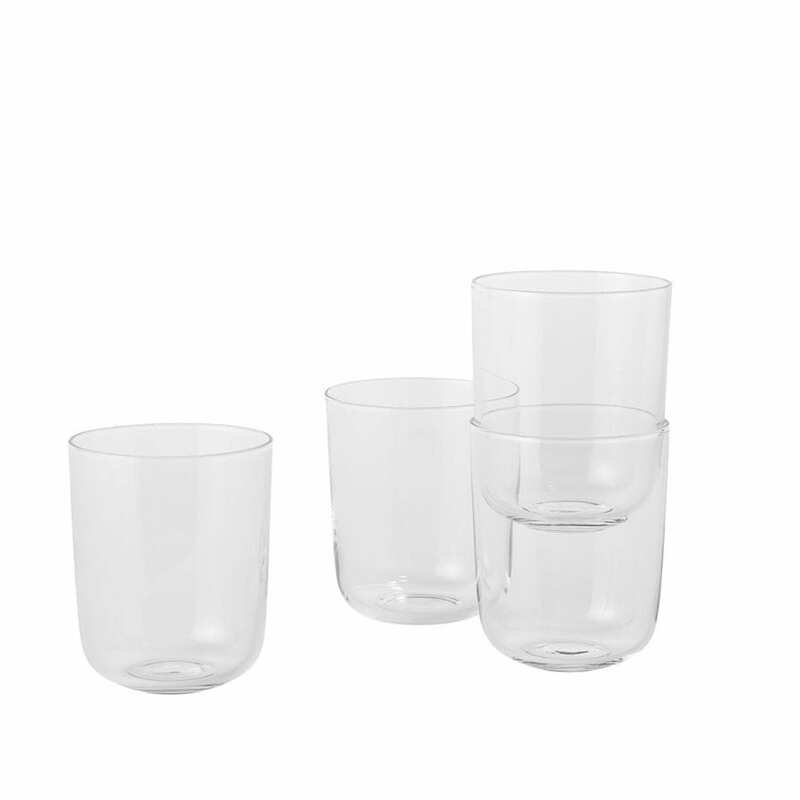 Muuto corky Drinking Glasses Clear. Designed by Andreas Engesvik. 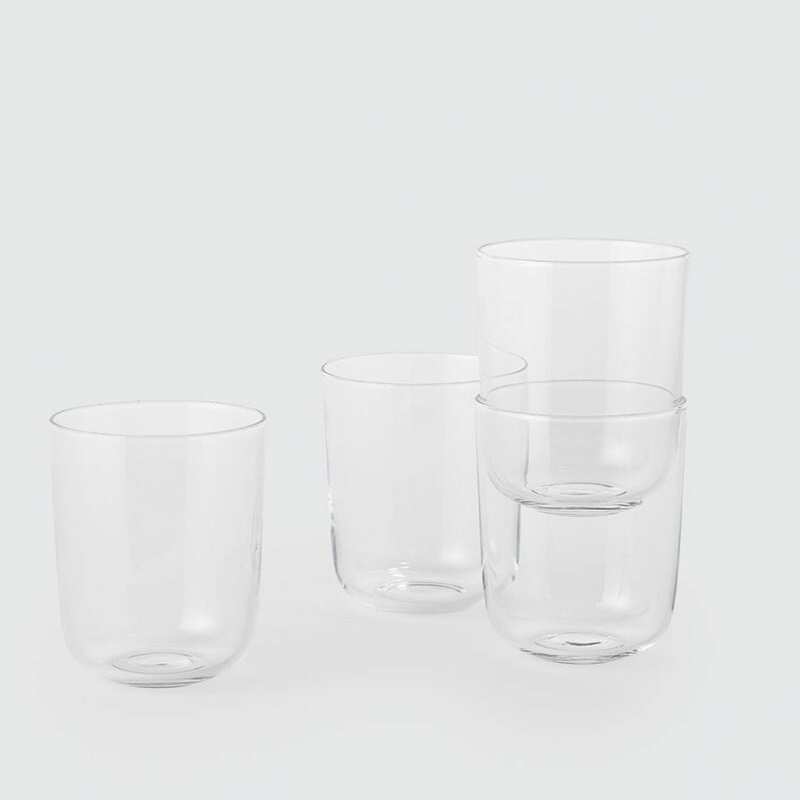 Designed by well-known Norwegian designer Andreas Engesvik, the Corky Glasses are a contemporary yet timeless design that will look good in any kitchen, dining area or office. The glasses come in two easy-to-hold sizes and two colours. Each box contains four glasses. Dishwasher safe, although gentle hand wash prefered.